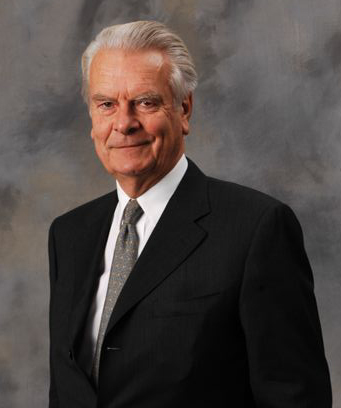 David Owen was educated as a physician at Sidney Sussex College, Cambridge and St Thomas’s Hospital, London where he was a Neurological and Psychiatric Registrar from 1964 to 1966 and Research Fellow in neuroscience in the Medical Unit from 1966 to 1968. He is an Honorary Fellow of Sidney Sussex College and the United Medical and Dental Schools of Guy’s and St Thomas’s and a Fellow of the Royal College of Physicians. In the early 1980s Lord Owen served as the Treasurer of the Palme Commission on Disarmament and Security Issues and was also a member of the Independent Commission on International Humanitarian Issues; Carnegie Commission on Preventing Armed Conflict; and from 1990-2001 Chairman of Humanitas, a charitable organisation dedicated to public education on humanitarian issues. Lord Owen is currently a Director of the Center for International Health and Co-operation which has established an intensive four-week diploma course in International Humanitarian Assistance held three times a year in Geneva, New York and in one other, usually developing, country. Lord Owen has been associated with several political campaigns since leaving the House of Commons. He was Chairman of New Europe from 1999-2005, a cross party organisation that successfully campaigned against the UK adopting the euro. In January 2010 prior to the general election he helped establish a new website, www.charter2010.co.uk, a forum and information source aimed at planning for a hung parliament. In March 2011 he joined the “No to AV, Yes to PR” campaign. He was Chairman of the Trustees of the Daedalus Trust charity from 2011-2017 which promoted research into personality changes associated with the exercise of power in all walks of life, what Lord Owen termed Hubris Syndrome. All Lord Owen’s speeches on the subject are available in the Hubris Syndrome section of this site. The Daedalus Trust has now merged with the Maudsley Philosophy Group (MPG) at the Institute of Psychiatry. One or two Daedalus Trust members are Trustees of MPG to ensure some continuity but the Trust itself ceased as a separate entity and charity as from October 2017. Lord Owen plays an active role in the Campaign for the NHS Reinstatement Bill: www.nhsbillnow.org campaigning to reverse the deeply damaging effects of the 2012 Health and Social Care Act and to roll back the continuing marketisation of England’s health service. Lord Owen has retired from active business interests but his past interests in the UK, US and Russia have included Chairman of Middlesex Holdings, which became GNE; Chairman of Europe Steel; consultant to Epion Holdings and USM Holdings; Chairman of Yukos International; non-executive Director of Abbott Laboratories from 1996-2011; and non-executive Director of Hyperdynamics Corporation from 2009-2014. In 2009 Liverpool University Press published Lord Owen’s book Nuclear Papers which gives a new insight into the background and arguments around the last major strategic study of the UK’s nuclear deterrent, making available for the first time newly declassified government papers on nuclear weapons. Also in 2009 an updated, abridged version of his autobiography was published by Politicos entitled Time to Declare: Second Innings. In 2012 a paperback and ebook entitled Europe Restructured: The Eurozone Crisis and its Aftermath was published. This set out the history of the UK’s equivocal relationship with the European Common Market, European Community and now European Union and suggested a blueprint for the restructuring of the European Economic Area to accommodate both those who wished to move towards a more integrated eurozone and those who wished never to join the Eurozone. Despite being endorsed by The Times of London these ideas were never taken by Prime Minister Cameron or Chancellor George Osborne. In 2016 following David Cameron’s failed negotiation with the EU to seek reforms, Lord Owen updated his book and issued it as an ebook Europe Restructured: Vote to Leave as part of his support for Vote Leave during the EU referendum campaign. On 21 January 2015, Lord Owen featured in the What makes us Human series hosted by Jeremy Vine on on BBC Radio 2. In 2016 Lord Owen published Cabinet’s Finest Hour. The Hidden Agenda of May 1940 (Haus Publishing) in which he makes a powerful case for seeing the vital British decision to fight on against the Nazis in May 1940 as the greatest moment for Cabinet government and collaborative politics, providing profound lessons for contemporary politics. In 2017 he co-authored British Foreign Policy After Brexit with a former diplomat who voted ‘Remain’ that argued Britain’s global role and influence as an independent voice could be enhanced, rather than diminished, post-Brexit. Lord Owen’s latest book, published in 2018 is entitled Hubris. The Road to Trump. Power, Populism and Narcissism. His American wife, Deborah, was for many years a highly successful Literary Agent. They have two sons and a daughter and four grandchildren.